We serve all of Maryland, Virginia, and Washington, DC. 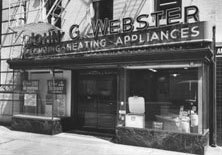 More families, businesses, and churches have relied on John G. Webster for their residential and commercial plumbing, heating, and cooling needs in the Washington, DC area than any other for the last 100 years. Shouldn't you? Problems with your plumbing, heating, or cooling systems don't wait for a good time to happen. 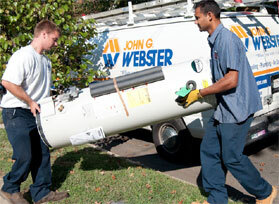 At John G. Webster, there is always someone to take your call. And we'll be at your home or business when we say we will. Webster Store Front. Circa 1924. At the turn of the century, when his competitors' horses and Model Ts were getting stuck in the muddy.. The Webster Team. Circa 1924. 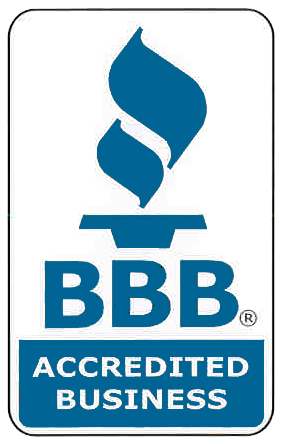 For over 100 years in the HVAC & plumbing industry makes us one of one of the largest and most experienced heating, cooling, and plumbing companies around. Our skilled, trustworthy technicians are continually trained on the newest technologies. 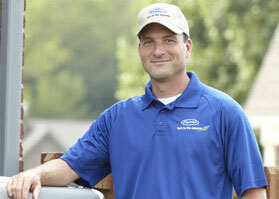 We have the know-how to tackle any HVAC or plumbing problem - big or small. 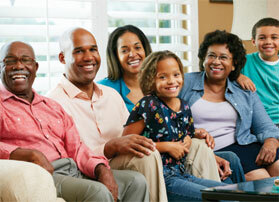 For over 100 years, we have proudly served over five generation of DC families. "Being the Best is Easy...First, hire the best people, offer them the best training and benefits, give them the best tools and cutting-edge technology, and then challenge them to uphold the very highest industry and ethical standards. Remember, if you want to be the best, start with the best." 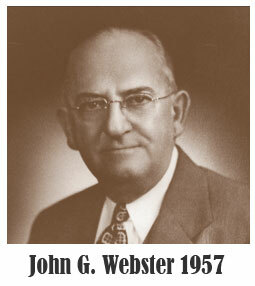 That's how John G. Webster founded and grew the best plumbing and heating company in town back in 1912. 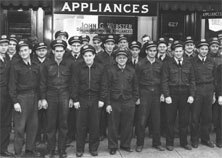 Today, after five generations, that same tradition lives on in every technician at the John G. Webster Company. We are proud to install and service Carrier products. We also install and service equipment from many industry leaders.